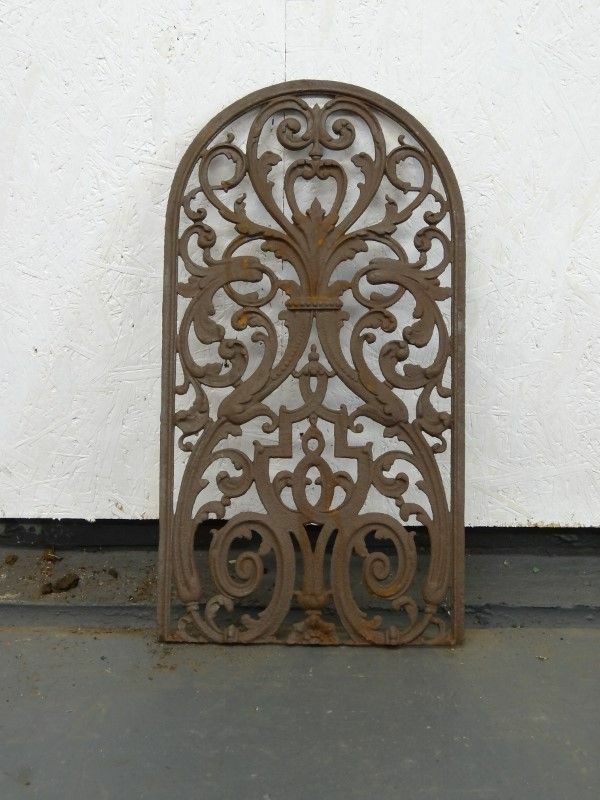 Arched Cast Iron Double Sided Pierced Panel. 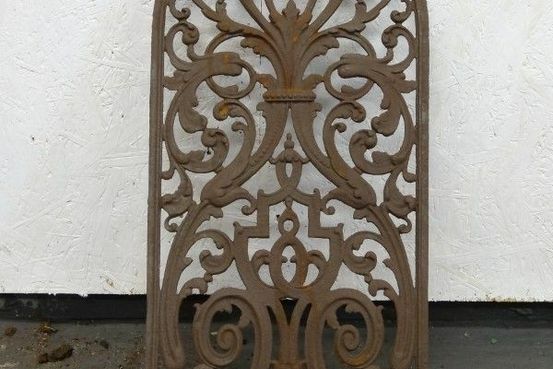 23 ½” (60cm) tall, 12 ½”(32cm) wide. Could be set in a wooden frame with a mirror behind.